Can I Enjoy it Here? I think it's finally happened... I am happy to be in Shanghai! I am not struggling with culture shock as much as I was. I am able to accept the differences between my culture, and Chinese culture. I can appreciate most of the similarities and differences. I have been making a conscious effort to direct my thoughts in such a way that makes me happy. I have been making a conscious effort to not let my physical environment determine my state of mind. I have been getting better at managing my stress. I like to eat tomato dumplings with chopsticks. I think it's very respectful that people take their shoes off before going into someone's home. I like that the ladies ride sideways on bicycles and scooters with their men. I like to smile at the guards and say Nǐ hǎo and Zàijiàn! How do I really know I am happy to be in China? 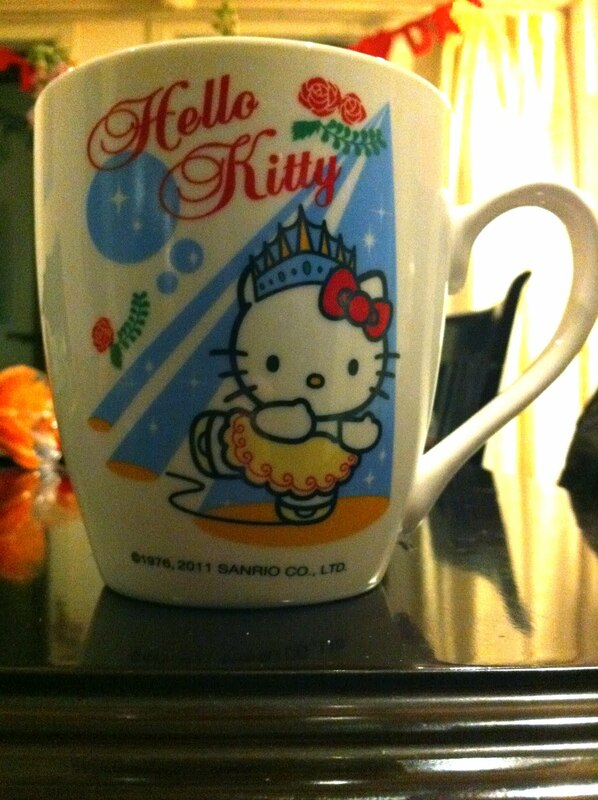 I bought something with HELLO KITTY on it! AHHHHHHH!!! The ultimate Asian purchase! I had previously been mocking the adult Chinese women's obsession with the little cartoon character. It was so ridiculous to see grown women carrying around Hello Kitty purses, wearing Hello Kitty shirts, socks, sneakers.. even their telephones have Hello Kitty cat ears or covers! I couldn't resist the charm.. The mug came free with two tubes of toothpaste that I needed, and she's kind of a cute dancing Hello Kitty! So that's it.... I'm a bit more Asian now.